Upswing creates original and transformative performances, using their expertise and creative vision to shape tailored works for a range of clients and events. Upswing was selected to deliver Tamburo, a spectacular outdoor community engagement event for the launch of the new Brent Civic Centre in 2013. 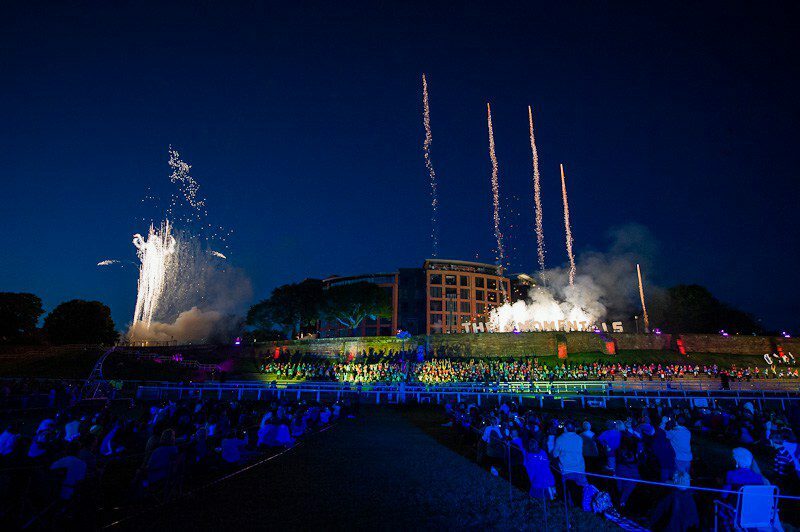 Working closely with with teams from the council to safely design an event that brought together the poetry of 21 young ambassadors with an awe-inspiring aerial and pyrotechnic display. 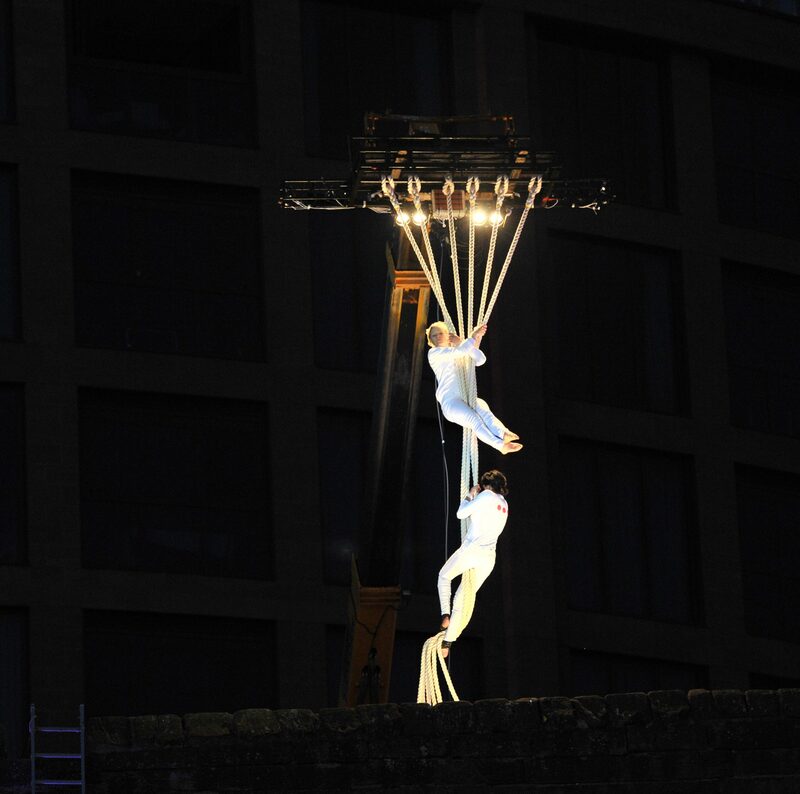 Teaming up with the New Vic Theatre, Upswing devised an exquisite aerial display as the closing event for Stoke-on-Trent City Council’s Olympic Torch event. Phoenix from the Flames left its audience of 13,000 utterly stunned. Created to mark the reopening of Oldham Town Hall, this magical event told the tale of the Oldham Giant. Intertwining live performance, aerials, projection and gigantic puppets, the work reflected an optimism about the future of Oldham.